I've had a really good weekend punting wise, firstly thanks to Nick Hardman of Betting Insiders who pointed us at Stec 33/1 and Pomology 8/1 in his column on here on Friday. Secondly I had two big wins from the guys at http://racingconsultants.co.uk/ in Mukhadram 16/1 and De Rigueur 12/1. As well as a handful of selections each day with a page or two of explanation as to why they have made each selection, Rory and David also send out an evening message on days when they think they have found a pricing blunder. These are selections where they think the price will evaporate as people realise the true chance of a horse. An early one for tomorrow, putting out now as we believe the price will go. The rest of tomorrow's bets will be up in the morning as normal. There is still some 9/1 available with Paddy Power but everyone else is 8/1 or 17/2. 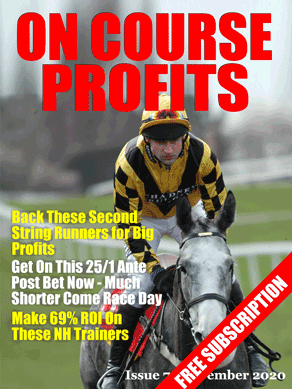 If you want to be part of a top class tipping service you can join David and Rory at http://racingconsultants.co.uk/ their main message will be out at around 11:00 am.